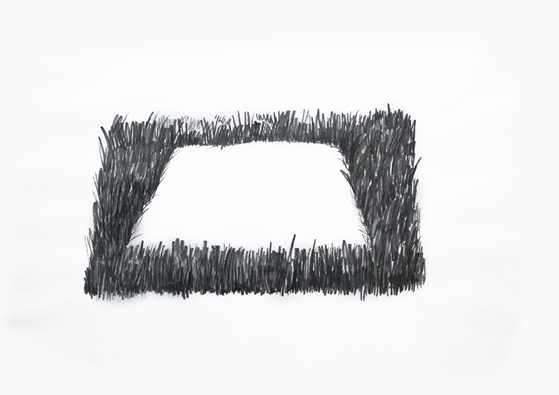 Vessna Perunovich’s practice encompasses drawing, performance, video, sculpture, painting and installation. Individual yet nonetheless interrelated, her work is defies a simple categorization. Perunovich’s subject matter grapples with issues of personal intimacy and societal constructs; her work is autobiographical and at the same time universal. It dwells, emotionally and philosophically, on the subject of boundaries, both physical and psychic, orchestrating a fine balance between confinement and content. Perunovich’s works are connotations of meanings, suggesting that they can wear the conceptual clothing necessary to expressing inexpressible feelings for things that are inexplicable. 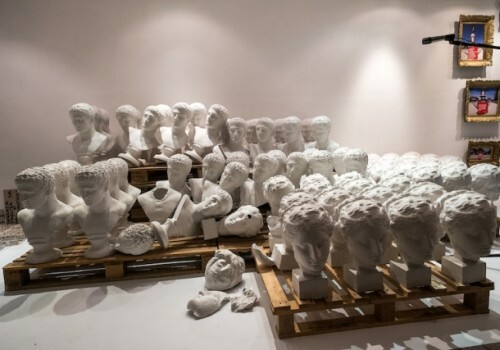 Perunovich (born former Yugoslavia) is a Toronto-based visual artist and has exhibited at international biennales in Cuba, Albania, Portugal, UK, Montenegro and Greece. 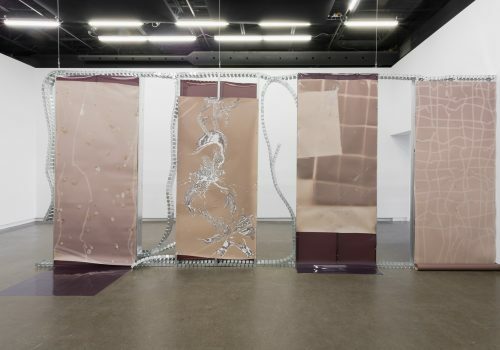 Her survey solo exhibition, Borderless, recently toured galleries and museums in countries of the former Yugoslavia, including the Museum of Contemporary Art of Vojvodina in Serbia and Museum of Contemporary Art Republic of Srpska in Bosnia & Herzegovina. Her recent exhibitions include, Neither Here Nor There, at Tom Thomson Art Gallery, Borderline, at Angel Gallery in Toronto, Canada; performance project, The Web, at Grimmuseum in Berlin, Germany and video installation, Open Ended, as part of HT&B exhibition in Hamilton, Canada. 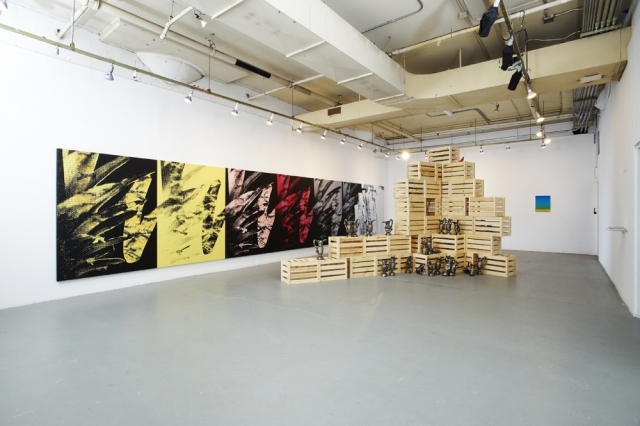 Perunovich is the recipient of many grants and awards including the Toronto Friends of the Visual Arts award in 2005 and the Chalmers Development Grant in 2011. Vessna Perunovich, I Hug the World and the World Hugs Me Back, 2003-ongoing, Performance. Courtesy of the artist and Tate Modern. Vessna Perunovich, Infinite Wall, 2006, White elastic thread, 132 × 288 in. (335.28 × 731.52 cm). Courtesy of the artist. Vessna Perunovich, Currency, 2007-2011, Sculptural and video projection, elastic bands, staples, and metal frame, 120 × 180 in. (304.8 × 457.2 cm). Courtesy of the artist. 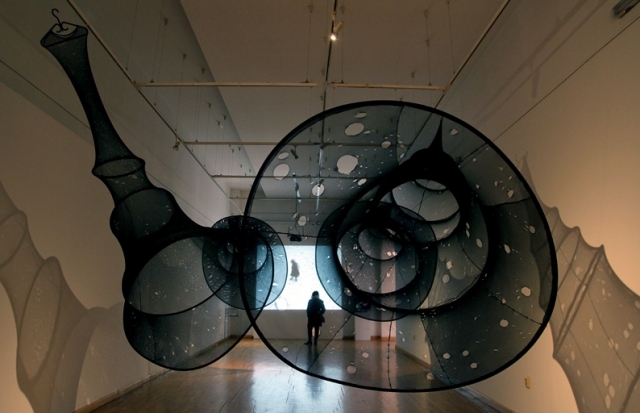 Vessna Perunovich, Wounding, 2002-2011, Mixed media installation, Dimensions variable. Courtesy of the artist. 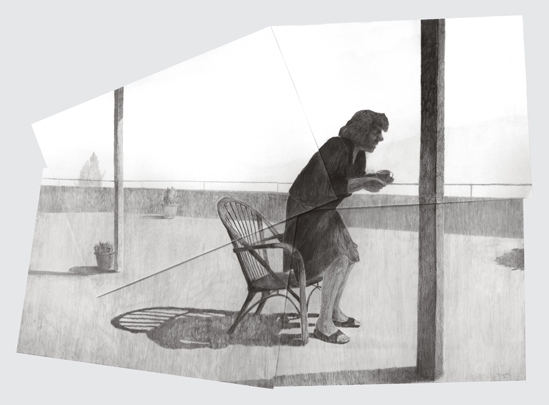 Vessna Perunovich, Homage to Mother, 2009, Graphite, 108 × 216 in. (274.32 × 548.64 cm). Courtesy of the artist. Working mainly in the media of drawing and painting, Ilija Prokopiev focuses intensely on spatiality, forms and art history. Space and spatiality are his means for analyzing and interpreting personal, historical and cultural images and events. Working with figures, he uses his everyday surroundings as subject matter. Prokopiev was born in Skopje, Macedonia in 1985 and holds a degree from the University of Skopje’s Faculty of Fine Arts. He has had three solo exhibitions: In Search for a New Place, E-Werk, Freiburg, Germany; At the Same Place, Cultural Center CK, Skopje; and Open Graphic Studio Gallery, Skopje, Macedonia. Prokopiev has participated in several group exhibitions and projects in Macedonia and abroad. He also works as a book illustrator and author in the field of art and culture as a postgraduate student of cultural studies at St. Cyril and Methodius University and is the recipient of the DENES Young Visual Artist Award for 2011. Ilija Prokopiev, Portrait of My Mother, 2011, Pencil, 79 × 55 in. (200.66 × 139.7 cm). 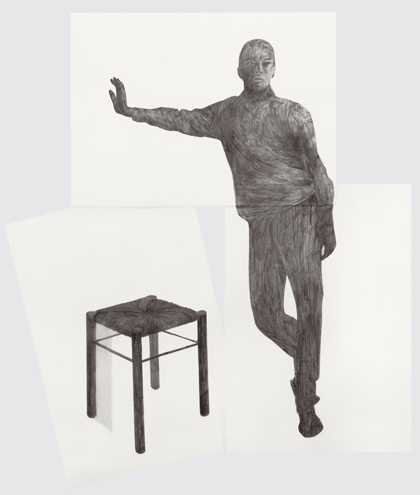 Ilija Prokopiev, Self-Portrait, 2011, Pencil, 60 × 55 in. (152.4 × 139.7 cm). Ilija Prokopiev, Island, 2011, Pencil, 14 × 20 in. (35.56 × 50.8 cm). 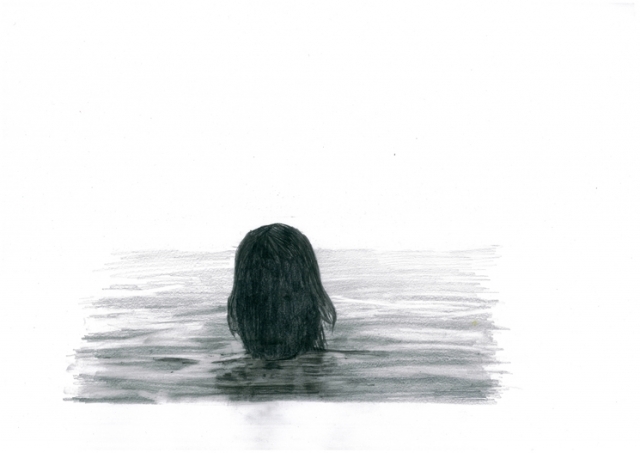 Ilija Prokopiev, Untitled, 2010, Pencil, 35 × 16 in. (88.9 × 40.64 cm). Ilija Prokopiev, Untitled, 2010, Pencil, 14 × 20 in. (35.56 × 50.8 cm). 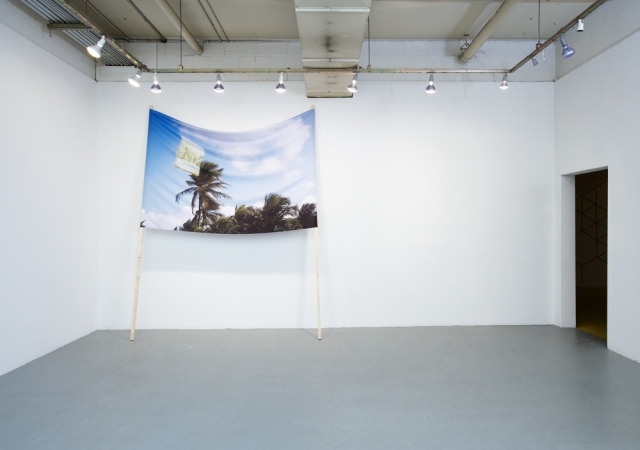 Hector Arce-Espasas uses images that are inherent to the geographic and cultural milieu of the tropics. He appropriates and transfigures some of these images in order to transgress their current symbolic meaning in a sensuous play of conflicting alliances. The images lure and repel while playing with the idea of the pineapple as the easily attainable commercial fruit of ‘tropical paradise’. Hector Arce-Espasas (born 1982, San Juan, Puerto Rico) completed an MFA at Hunter College, 2011. Following this, Arce-Espasas was nominated for the Rema Hort Mann Foundation. 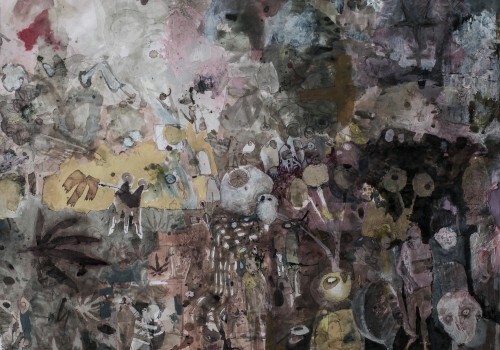 He has also participated in various exhibitions including the Swiss Institute’s Dark Fair, Museu da Cidade, Lisbon; Marvelli Gallery, New York; Contemporary Art Society; London; The Green Gallery, Milwaukee; and University Galleries at Illinois State University. Hector Arce-Espasas, Welcome To Paradise, 2011, Mixed media, Dimensions variable. Courtesy of the artist. 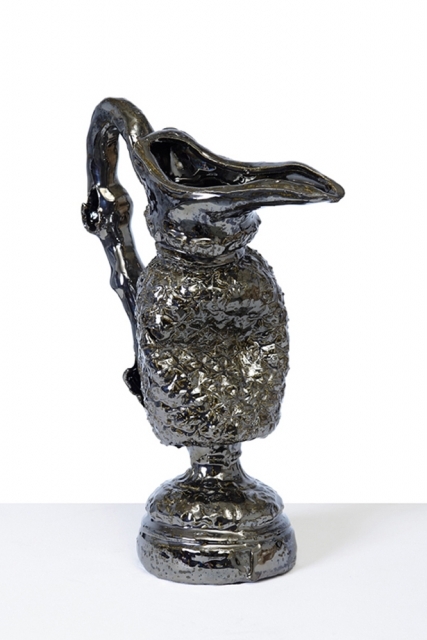 Hector Arce-Espasas, Pineapple Ewer, 2011, Ceramic with palladium glaze, Dimensions variable. Courtesy of the artist. Hector Arce-Espasas, P.D. 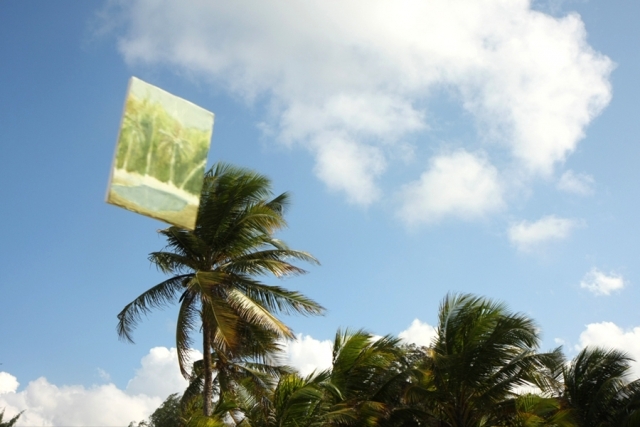 Come Fly With Me, 2011, Inkjet on fabric and wood, 79 × 108 in. (200.66 × 274.32 cm). Courtesy of the artist. 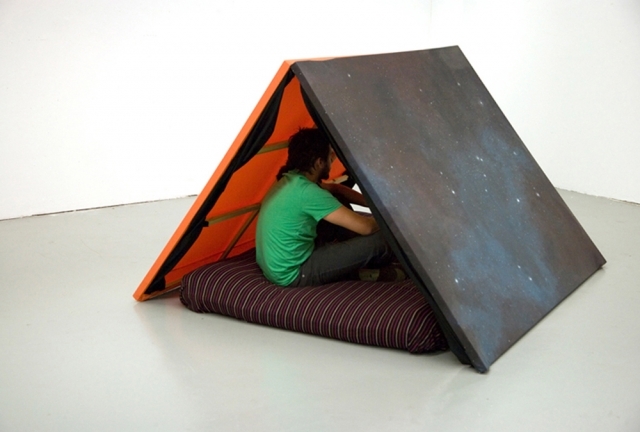 Hector Arce-Espasas, Sheltering Sky, 2009, Fabric, mattress and acrylic on canvas, 60 × 72 × 40 in. (152.4 × 182.88 × 101.6 cm). Courtesy of the artist.